I had checked the availability for my address 4 days ago and got the "coming soon" message. Tried again today morning and bingo! I have gone for it and even if I get only 10% of the promised upload/download speeds for CHF39.95 it is a super deal (even if I don't consider the other "freebies"). Excellent offer from Salt. Got the same message "Coming soon" in my area. Wish our Krankenkasse's can give us offers like Telco companies. Now I now why Sunrise is offering a free iPad. 130,-/month For up to 1Gbit/s & TV: 270+ channels, 80+ in HD & Unlimited free calling in CH and a free iPad. 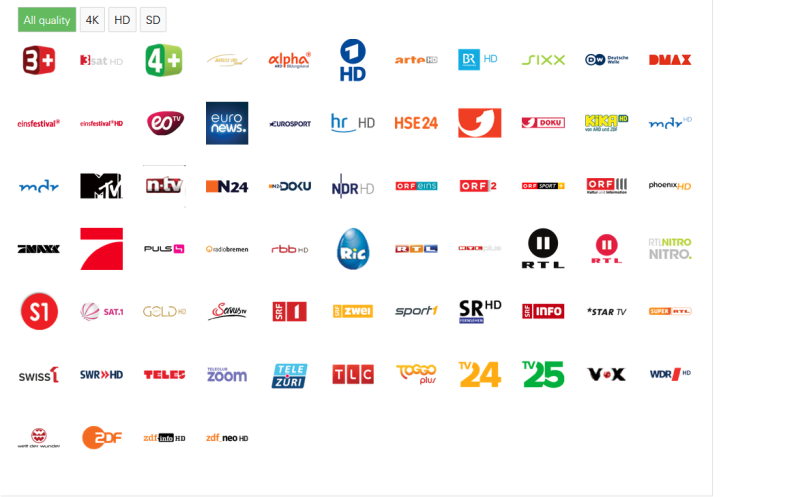 49,95/month For up to 10Gbit/s & TV: 250 Channels (German part) including HD and 4K & Unlimited free calling in CH and a free Apple TV. Just Sunrise made me the offer about a month ago and gave me one day to decide. Offers good til tomorrow, bla bla bla. Maximum amount of CHF 198 in case of termination during the first month. Thereafter termination fee is decreasing by CHF 6 per month. No termination fees are due after 33 months. Not really a financial disaster, is it? Not really, I was just comparing it to other companies that only have a 99 CHF cancellation fee etc. Always good to have complete information before signing anything. For anyone interested, they were fairly quick setting it up for me. The box came in a few days, the network connection a few days later. The UI on the box is very limited in what it can do (no bridging that I found so far) and incoming port forwarding also does not appear to work (I believe Carrier Grade NAT is involved). It will give you an external IP address in the detail section, but that is not an IP you can connect to from outside. No IPv6 either. It does have dynamic DNS support, but that is a tad pointless when incoming connections don't work. There has already been at least one firmware update, as after it got an internet connection, it started complaining about the password. I find the comments about design particularly funny. The box is large, white, with white on white writing to tell you what the LEDs are showing. Unfortunatley, nothing else in my house has the ability to talk faster than 1G, so getting a useful speedtest result is not happening. I have reliably measured 1G each way though so far. Setting it into bridge mode would be a bit useless in terms that this would likely mean you have to do NATing on some other hardware and routers available today with Hardware nating can reach max 1gbps anyway. btw. did you try to ping customer service with question about port forwarding etc? Not useless for users like myself that use e.g. the VPN client and policy based routing on a second router. do you still have to pay billag when you have internet TV. VPN -> You can simply port forward (if that'd be possible and if box has public IP) while doing a NAT on more capable router. Routing is a different issue, true. Yes and no, it depends You have to pay billag for TV if you have a IPTV account (even if it is free). This means that you can watch those various streaming and even SRF materials online (as well as youtube etc) that do NOT require a login. Also apparently billag goes away from next year on. And billag for radio has to be paid if the computer is connected to the internet. Will I be assigned a fixed IP address? Yes, Salt will provide you with a fixed IP address which cannot be changed or modified. I guess they are not lying even if all the customers get assigned the same shared IP. Can someone confirm that they use CG-NAT? That’s a deal breaker for me. Salt enters the fixed line internet business https://fiber.salt.ch/en/. It offers 10Gbps at CHF 49.95 and CHF 39.95 for existing mobile customers in more than 30 cities of Switzerland. Why would you call it inferior if you yourself have zero experience with it? Their earth shattering TV offer. 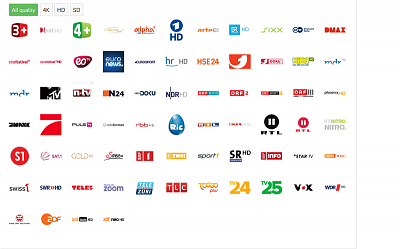 ( German Channels ). 70 Channels! And the half of them are not even HD! And you dont need 10Gbps to watch TV. Supposed to be 250 included German sender. Where???? There is 1GB max of most router switch. But there are also the network cards of Engeräte usually "only" 1GB support. There are the (mechanical) hard disks that can not write so fast. Last edited by omtatsat; 09.04.2018 at 08:10. The reason they give 10Gbps is just marketing, for most of us is like if they say "unlimited speed", the limit is in our devices. But for that price (50 CHF), you can't even get 50 Mbps in other companies. If your issue is that they give too much speed, you can pay 110 CHF in UPC and get 200 Mbps. No it is not, tell this to countries or regions where a normal speed cannot be achieved. There is a point above which faster speeds make no difference anymore, this point is not at 1gb/ps. They give you a new one which is capable of much higher speeds. Get rid of your ancient machine.